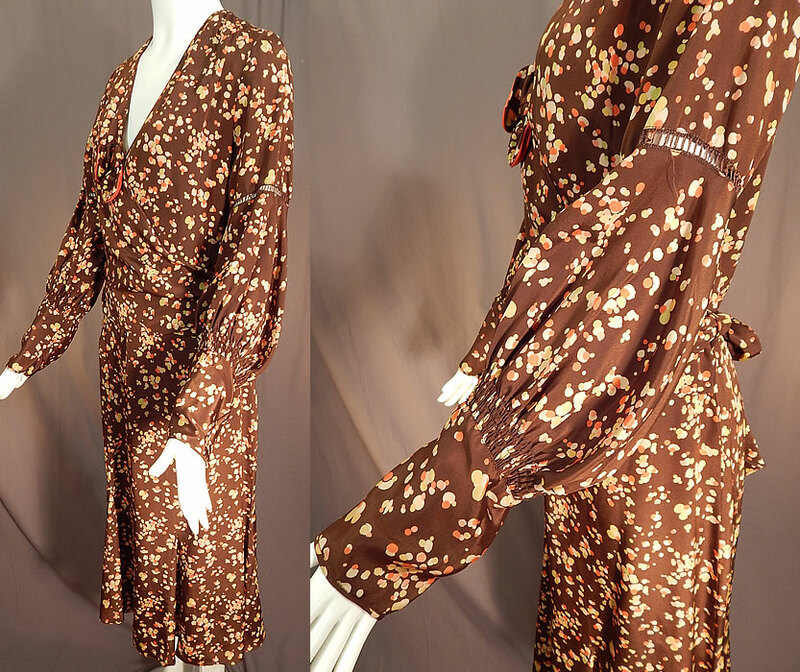 This vintage brown silk polka dot bubble print belted wrap bias cut dress dates from the 1930s. 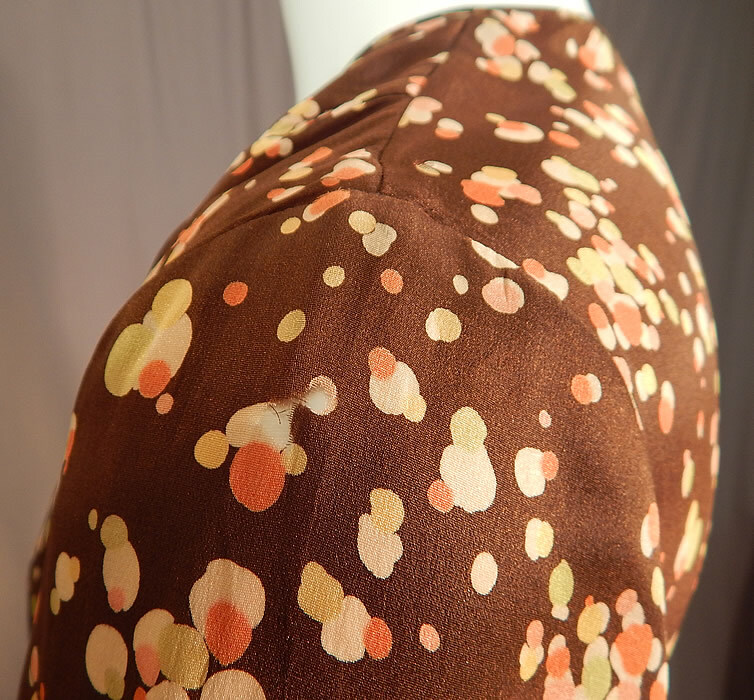 It is made of a brown silk fabric with an abstract coral, chartreuse, cream, yellow polka dot bubble print pattern design. 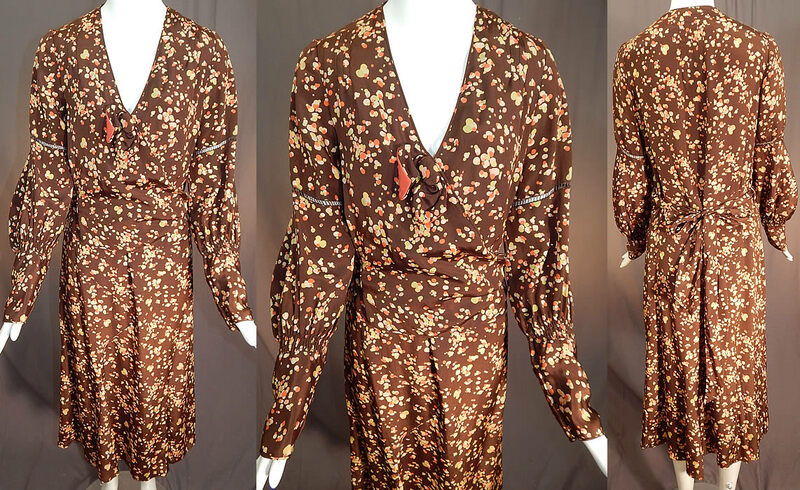 This beautiful brown bias cut dress has an adjustable wrap style top belted waist, with an attached coral silk dickey top insert underneath, bow trim accent on the top, long full sleeves with drawn cut work on the arm, tapered gathered fitted cuffs, a V front neckline and is unlined. 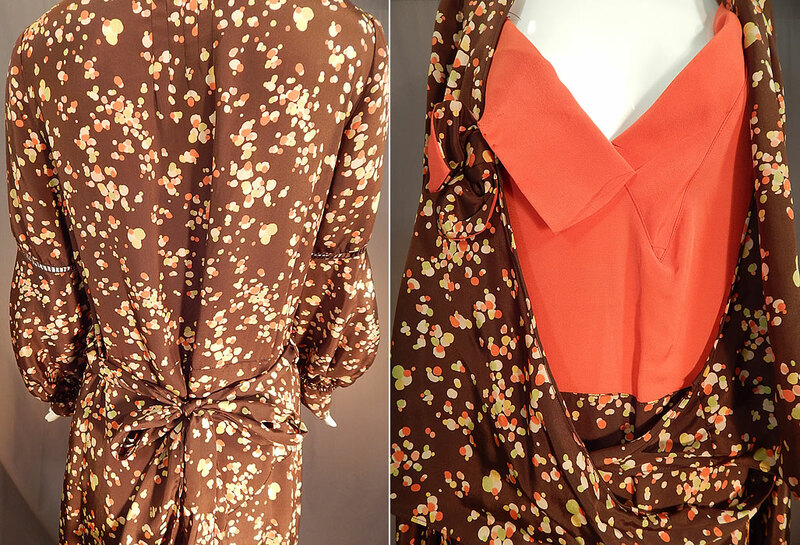 The dress measures 47 inches long, with a 36 inch bust, 30 inch waist and 24 inch long sleeves. It is in fair as-is condition, with a few frayed small splits along the shoulders and underarms (see close-up). This is truly a wonderful piece of wearable art which would be great for design inspiration!